Urban forests have garnered increasing attention as providers of an array of beneficial ecosystem services. 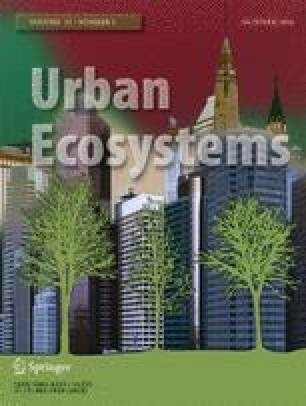 However, urban forest ecosystems are highly complex and heterogeneous systems whose structure are shaped by interacting social and ecological processes. Approaches to reliably identify and differentiate these processes could be valuable for addressing complexity and reducing uncertainty in decision-making in urban forestry. The purpose of this study is to identify and quantify a range of social and ecological drivers of urban forest species composition, distribution, and diversity. This was done using hierarchical cluster analysis and discriminant analysis with empirical plot data describing the tree species composition in Toronto, Canada. Tree density and imperviousness were by far the most influential drivers of species composition. Increasing imperviousness saw not just reduced tree density but a decline in native species abundance. Additionally, single-detached housing, homeownership, and income were closely associated and explained higher tree densities and abundances of native species. However, income had a lower than expected influence on urban forest species composition given its importance in canopy cover research. Continuous forest patches were highly distinct compared to the remainder of the urban landscape, which highlights the ecological distinctiveness of residual forests within cities and lends support to their conservation. Increasing the understanding of social and ecological drivers of tree species composition, distribution, and diversity within cities is an integral part of urban forest ecosystem classification, which can be a valuable decision-support tool for ecosystem-based management in urban forestry. Funding for this research was provided by the Killam Trusts at Dalhousie University. Thank you to Dr. Peter Duinker and Dr. Christopher Greene at Dalhousie University for their review of the draft manuscript.